It is human nature to stuff all cards- be it debit or credit, driving license or PAN -in a wallet which is always carried around. And when such a wallet is lost, it's a nightmare. However, the turnout wouldn't be so bad if one has subscribed to the card protection plans (CPP) offered by banks. It is human nature to stuff all the cards - be it be debit or credit cards, driving license or PAN - in a wallet which one carries around. And when such a wallet is found to be lost, it's the procedural call that needs to be followed which proves to be a bigger nightmare. However, the turnout wouldn't be so bad if one has subscribed to the card protection plans (CPP) offered by banks. 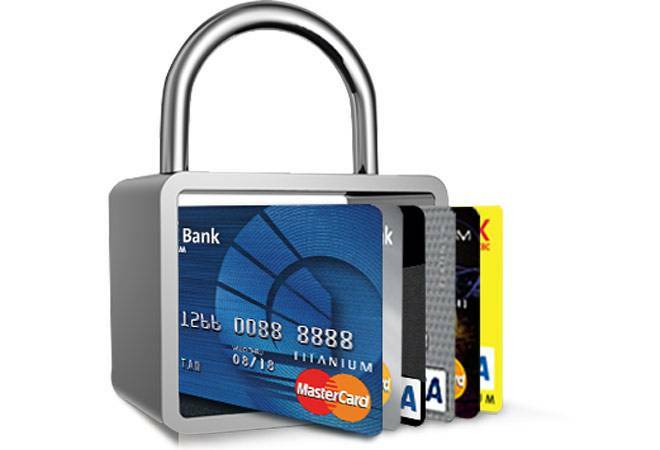 Simply put, it is a comprehensive card protection service in case of any loss, theft, fraud and other related emergencies. Apart from credit and debit cards, banks have extended this service to safeguard the details of other important documents like PAN card, Aadhar card and several others essential documents. In short, this service is designed to come in handy in times of a crisis situation. Other than this, there are several other services provided to those who signup for this offering. However, all these plans come for a limited period of one year. Thereafter, it needs to be renewed every year as in the case of insurance. Currently, most of the banks offer upto three types of plan - Classic, Premium & Platinum. Banks, both public and private sector players, are offering numerous services under CPP. The benefits are almost standardized across all the players in the industry. However, the cost associated varies from Rs 1,245 to Rs 3,000, depending on the type of plan opted for. The plans vary on the basis of the number of individuals included in the plan. Broadly, the number of plan varies between two and three with inclusion classified as individual, individual+spouse and individual+spouse+parents (a total of four members). Depending on the number of persons included, the pricing of the plan offered differs. Given below are the services available. 1) One call to block all cards In case there is a loss of card, all you need to do is call the dedicated toll free number and inform about the loss of card. From thereon, the bank would take the responsibility of calling the card issuer and getting it blocked. 2) Emergency travel & hotel assistance The facility available under this head varies from bank to bank. So be careful to read the fine print. Some bank restrict this services only within India while few other banks help avail this service even overseas. While travelling within India or abroad, incase your wallet containing cards are lost, then CPP comes to your aid in settling hotel bills. Incase of case of travel tickets, the service ensures that you get a replacement ticket. The facilitation and cost aspect in terms of settling bills and making the necessary arrangement is taken care by the banks. But remember, there is a ceiling amount for each of these services. 3) Emergency cash advances When stranded with no cash, due to loss of cards, currency, CPP ensures emergency cash advance. Again, for most of the banks this facility is available only when travelling within India. The money advanced should be paid back mostly within 28 days. 4) Valuable Document Registration In this facility, the bank allows you to register all the required details of important documents like driving license, passport, insurance policy documents etc, that you want to be maintained safely. The data stored here is easily accessible as and when needed, at any time during the day. Along with this, banks allow mobile phone identifier (IMEI) registration service as well such that incase of loss of phone, you can easily access this number to register complaint. 5) Card replacement & Passport assistance service Apart from informing the banks and initiating blocking, incase of lost cards, individuals who opted for CPP service will be aided through the procedure of getting the lost card replaced. This service ensures that al the required paper work is formally completed as required with minimum hassle to the customer. Incase of PAN card, CPP will take care of the procedural requirement inorder to get a new card issued, at no extra cost. When it comes to passport, if the loss is when travelling overseas, it is a given that the user will be left stranded due to lack of travel documents. In such situation, certain banks will aid the traveler to notify the required authorities and also help in the process of getting a new passport issued inorder to travel back home. Here too, it is necessary to read the fine print to understand the extent to which the bank comes into assistance. Most often, the differentiation comes to the basis of the plan option chosen. 6) Sim blocking incase of loss of phone In case of loss of mobile phone, CPP will take care of reaching out to the network provider and get the SIM blocked. 7) Fraud Protection As a part of the plan, the user is protected from fraudulent use of cards arising from theft or loss of card. The cover beings from upto 15 days prior to the loss report. The number of days aspect varies according to the bank. The instances of fraud covered mostly include PIN based frauds, phishing, skimming and counterfeiting. In case of SBI, fraud protection cover is for upto Rs 3 lakh per card. Given that credit and debit card already comes with limited liability on lost cards, it makes sense to go for these protection plans for convenience sake. Here too, only if you are a person juggling over three cards from different providers. Having such a plan ensures that you do not have to call each and every bank and get it blocked, which itself at times turns out to be very tedious procedure. The other add-ons benefits make sense if you are a frequent traveler. Critically speaking, some of the benefits such as emergency cash advances, passport assistance incase of loss, emergency travel and hotel assistances are all covered in travel insurance. However, there is a cost attached to each of these services and as a result, the premiums may be tad higher. When compared to this, CPP comes across as a cost effective measure, that too only for a frequent traveler. The other notable benefit comes in instances of fraud, which is a notable plus. However, when it comes to claim settlement, which is a moment of truth for the customer, there is room for disappointment. Incase, if it found that the cause of fraudulent activity was a result of personal negligence, then there is fair chance of the claim being rejected. Also, it is important to note that the services and their limits vary according to the plan chosen. Consequently, incase one opts for a basic plan; there may be instances when certain services, especially the ones available overseas, may not be offered. In a nutshell, go for it if you are a card junkie and a frequent traveler.